A four member committee to probe into the continuous breakdowns and fires breaking out at the 'Lakvijaya Coal Power Plant' (LCPP) at Norochcholai, has been appointed by Power and Energy Minister Patali Champika. The committee is headed by the Moratuwa University Electrical Engineering Department head Prof. Ranjith Perera, a spokesman of the Power and Energy Ministry said. Other members of the committee are Prof. K.K.Y.W Perera, Mr. D. Chandrasekara and Mrs. M. Bandutilaka. The committee has been tasked to investigate the technical failures, operational problems and make recommendations on preventive action to ensure uninterrupted power supply from the LCPP, the spokesman said. Minister Ranawaka expects the report of the committee in two months, he added. Meanwhile the LCPP is in full swing generating the entire installed capacity of 300 MW after the completion of repair work following the breakdown on January 18, a senior official of the CEB said. Allegations were levelled by CEB engineers about the standard of the machinery installed at this first coal power plant of Sri Lanka not being up to the international standards, which was the main cause for fire breaking out and breakdowns. The first phase of the Chinese EXIM Bank funded LCPP was constructed at a cost of Rs. 56.1 billion with Sri Lanka's commitment of Rs. 5.3 billion. The first phase was commissioned on March 22, 2011. However, a fire broke out on October 24, 2010 causing extensive damage to the plant and delaying the formal commissioning of the power plant. There was another fire in August 2011 that held up power generation and the third major fire occurred on January 18, this year closing down the power plant. 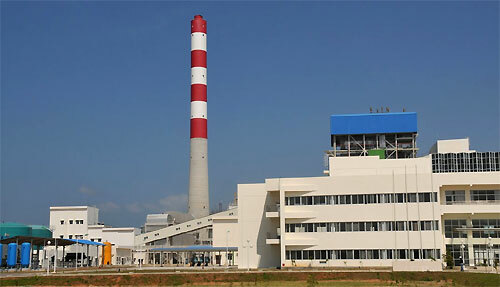 The LCPP, the first coal power plant in Sri Lanka is scheduled to generate 900 MW by 2014 on completion of the second and third phases.